The FBI generally conducts background investigations for individuals seeking positions with the U.S. Department of Energy, the Nuclear Regulatory Commission, the U.S. Department of Justice, and the FBI. The Bureau also oversees background investigations for presidential appointees, White House staff and the U.S. Courts. Accordingly, members whose background also includes FBI Background Investigations can be a great asset to someone looking for an investigator and/or needing an expert concerning Background Investigations. Performing background investigations, the FBI not only conducts extensive credit and police agency record checks, but investigators also interview an applicant’s current and former colleagues, roommates, neighbors, professors, and co-workers. Mandated to conduct background investigations that are thorough, investigators generally solicit information so the FBI can assess an individual’s character, loyalty, reputation, financial responsibility and overall ability. And in an effort to determine an individual’s suitability, investigators must also ask questions concerning whether an applicant is biased, has abused alcohol and/or drugs, and/or has associated with individuals and/or groups thought to be disreputable or disloyal to the United States. Depending upon an applicant’s individual circumstances some background investigations take more than a year to complete. Because FBI agent and analysts hold top security clearances, background investigations are mandatory every five  years for on-board personnel. Additionally, FBI employees must submit to random drug testing throughout their career. Members listing FBI Background Investigations as a skillset can be very helpful to law firms, security professionals and journalists, wanting assistance and/or information about Background Investigations. Asked to review an applicant’s employment or credit histories, members whose skills include FBI Background Investigations can see gaps in employment and credit problems, provide testimony involving employee disputes, and when solicited, produce an affidavit documenting an ethics investigation. Besides having an expertise concerning FBI Background Investigations, these members also have important organizational, analytical and reporting skills, necessary to examine and present evidence and/or interview witnesses. Worried about security suspending or terminating an employee, members listing FBI Background Investigations can provide valuable insight and guidance setting up a security plan. Specifying FBI Background Investigations as a skillset, these members also have the training, expertise and contacts to spot troubled workers and/or get assistance from local, state and/or federal law enforcement. Likewise, many members whose backgrounds include FBI Background Investigations also have media experience, and can provide journalists and news outlets with analysis and commentary about techniques used to conduct employee investigations involving disputes or conflicts. Able to cite policy manuals and regulations concerning permissible techniques used to conduct collect information, presented with a criminal and/or civil complaint, members listing FBI Background Investigations can provide journalists with information and supporting documents validating methods of investigation. Need additional information about a member whose background includes FBI Background Investigations just make contact with the member and make inquiry using the information provided. 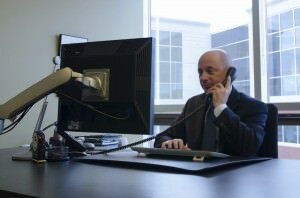 Looking for an FBI Background Investigations expert and/or investigator—website visitors need only use the search feature, entering the appropriate skill, as well as the geographical area of preference and make contact with an FBI Background Investigations specialist using the information provided. Retired FBI Agents and Analysts, interested in securing a Directory listing and/or a personal email address who have a background that includes FBI Background Investigations, need only submit a brief online application to join the website. Information contained herein was taken from publication captioned, “TODAY’s FBI: FACTS & FIGURES 2013 – 2014,” issued by the U.S. Department of Justice, FBI, Office of Public Affairs, 935 Pennsylvania Avenue NW, Washington, D.C. 20535, pages 35 & 47.